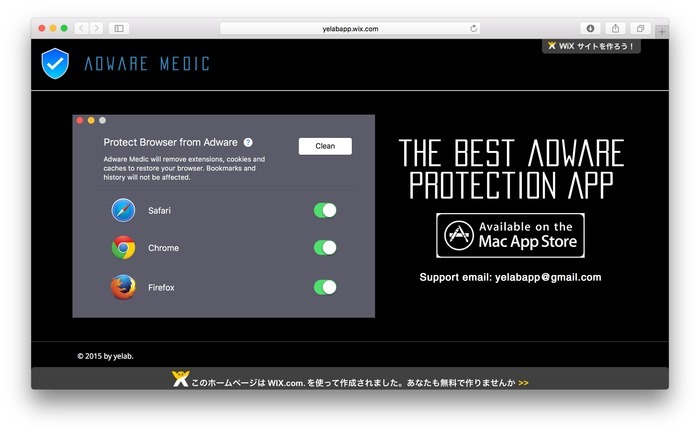 Adwareとその関連ファイルを検索＆削除してくれるMac用ユーティリティアプリ「AdwareMedic」の偽アプリがMac App Storeに登録されていたもよう。 | AAPL Ch. Just learned there’s a fake AdwareMedic app in the Mac App Store.  Made by Yongming Zhang, if that’s not a fake name. Additionally, Malwarebytes announced the acquisition of AdwareMedic by The Safe Mac. AdwareMedic creator and owner Thomas Reed will join the company as Director of Mac Offerings, leading a growing team of Mac developers and researchers at Malwarebytes.